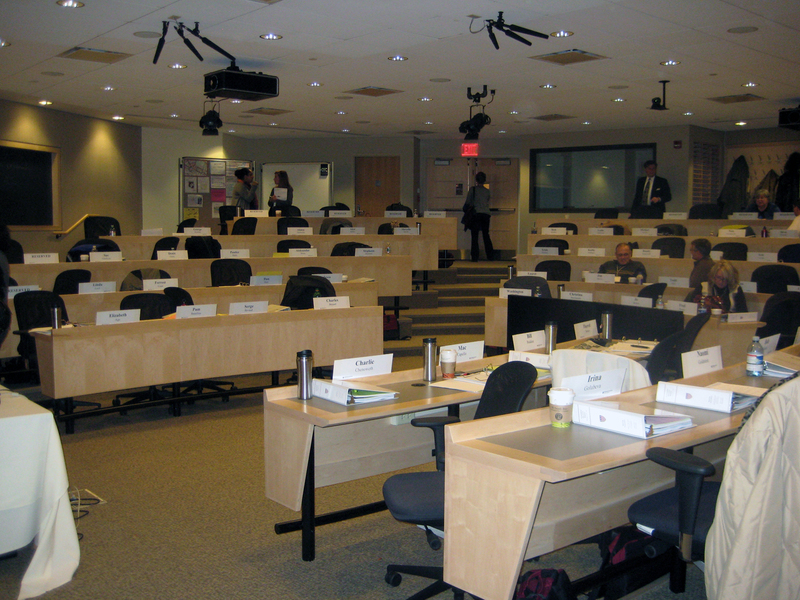 The Wiener Auditorium is a 2,943 square foot space located in the Taubman Building of the Harvard Kennedy School of Government. The project scope includes the gut renovation of the student auditorium in order to enhance and update the features and technology of the facility. As a multi-use auditorium and conference space, the project team gave particular emphasis to improvements in the lighting and HVAC systems. Located below-ground, the Wiener Auditorium has no direct access to daylight, therefore the project team faced the challenge of ensuring optimal levels of lighting and multiple lighting scenes were provided consistently throughout the space while also maintaining high levels of energy efficiency. Common area bathrooms within immediate proximity to the space were also upgraded to minimize potable water use. Upgrades included the use of dual-flush systems, low-flow urinals, and faucet aerator retrofits. In line with the University-wide goal of reducing greenhouse gas emissions 30% below 2006 levels by 2016, inclusive of growth, the Kennedy School of Government and the project team were committed to achieving the highest levels of sustainability. Project decisions and choices were made with guidance from the Harvard University Green Building Standards, as well as the Leadership in Energy and Environmental Design (LEED) Rating System.